Recruiters/Managers need stats/summary developer's Github activity. 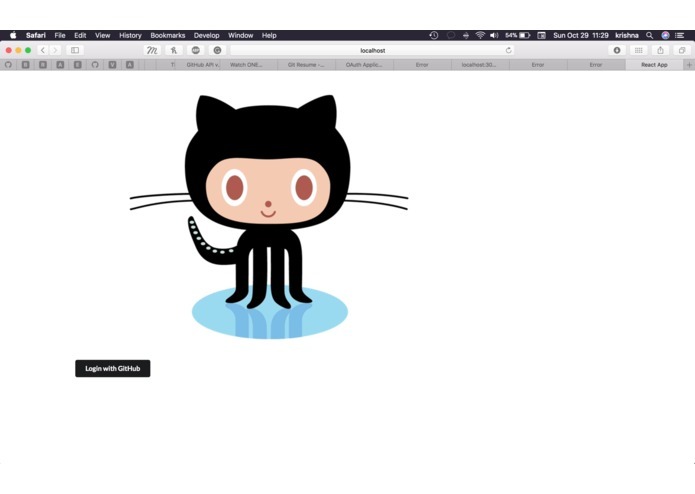 Although, Github has clean interface getting the important facts e.g. Owned Repos, Forked Repos, languages of Owned repos, Latest project that developer is working on is buried under the interface. 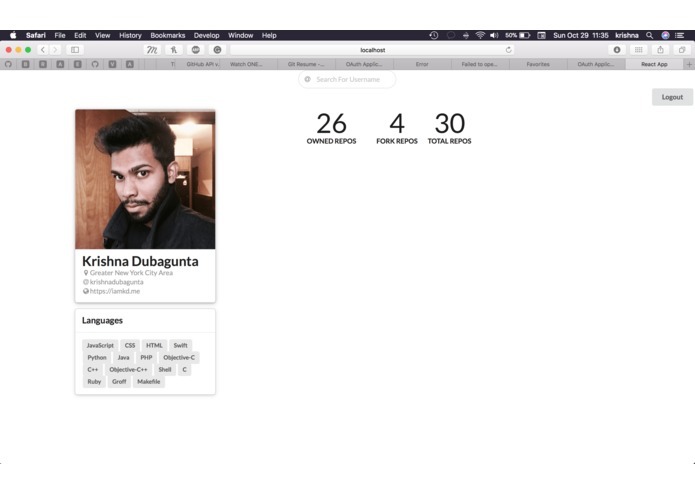 Provide stats/facts about the developer's Github account. Shows basic profile information (e.g Names, email, website etc) and complex information such as Number of owned repositories and forked. Use Github REST API with OAuth Token. React-Redux-ES6 with MongoDB under the hood. Postman to debug REST API calls. Some summaries are hard to fetch e.g. Github doesn't provide a REST call for finding which repositories has user contributed to. The API Wrappers out there needs more support for complex statistics. PR for wrappers out there from what we build now. I worked on Front-end of the website. The website is made with ReactJS and Redux.